Hawaii's Kilauea is not your typical blow-the-top-off kind of volcano. It's been simmering and bubbling for about 35 years, sending super hot lava spewing up through cracks in the ground. This month's eruptions are more of the same, except the lava is destroying houses miles from the summit. Scientists on Monday said there's been a slight decrease in the pressure that forces lava to the surface, but it's likely a temporary lull. Denison University volcanologist Erik Klemetti said similar eruptions at Kilauea have simmered for years. "It's going to take some time before you can say for sure whether things are winding down," he said. Kilauea is the youngest and most active of the five volcanoes on the Big Island. It's been erupting continuously since 1983, but not the way most people think. It’s not like Mount St. Helens in 1980, that was spewing straight up and everywhere. A couple of miles below Kilauea is a constantly fed "hot spot" of super hot molten rock from deep inside Earth. It needs to find a way out. And rather than exploding, at Kilauea "you get an oozing of lava at the surface," explains U.S. Geological Survey volcano hazards coordinator Charles Mandeville. The molten rock is called magma when it is underground; when it reaches the surface, it is called lava. The lava flows out through cracks in the ground, usually within the confines at the national park that surrounds Kilauea (kill-ah-WAY'-ah). But this time the eruptions are destroying homes. "This kind of eruption that is occurring now is very normal for this volcano," volcanologist Janine Krippner of Concord University in West Virginia. "It's really that it's just impacting people." The past week or so has seen "a major readjustment with the volcano's plumbing system," Mandeville said. On April 30, scientists got their first sign something was up. The floor of the summit's lava pool had a "catastrophic failure," forcing the magma east, looking for ways out, Mandeville said. That created a series of small earthquakes. 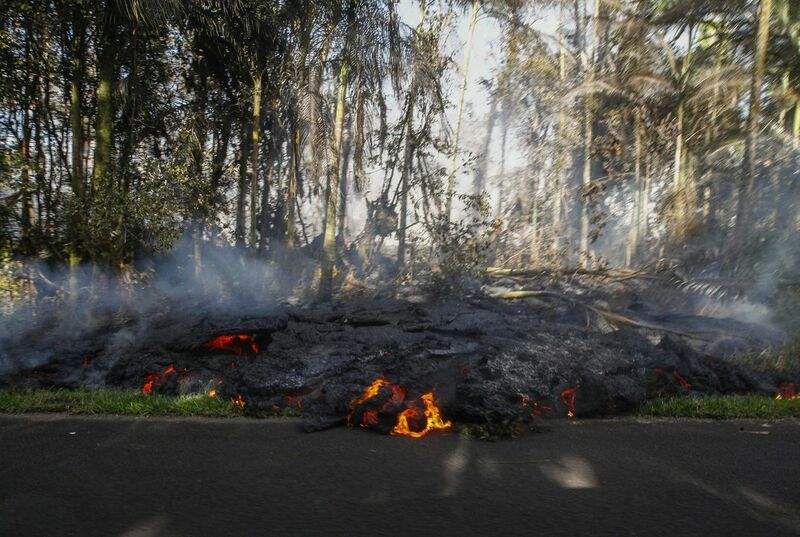 The magma escaped in "fire fountains" of lava shooting as high as 230 feet (70 meters) out of cracks, Mandeville said. The first one of those happened last Thursday, followed by at least nine more since then. "You don't know where the next fissure is going to open up," he said. While there's been a slight decrease in pressure, scientists won't know for certain if Kilauea has calmed down for at least two months, according to Mandeville. He said it could be much longer before conditions are safe for people to be in the area east of the volcano's summit. Officials have told some 1,700 residents to leave their homes. The lava is 2,200 degrees (1,200 degrees Celsius), Mandeville said. "It literally incinerates anything it touches," he said. It's not just the molten rock, but the spewed gases can be dangerous too, Klemetti said. That includes sulfur dioxide, which reacts with water in your lungs and can form acid, he said. In the meantime, "there's not much we can do other than get people out of the way," he said. The Hawaiian Islands only exist because of volcanoes. These volcanoes were created from "hot spots" of underground magma, which are mostly but not always underwater. The molten rock erupts on the sea floor, cools and forms a volcano. With each eruption, the volcano grows until it is big enough to push out of the water and form islands. Nine-tenths of Kilauea's surface is less than 1,000 years old, which is quite young in geology, Krippner said. 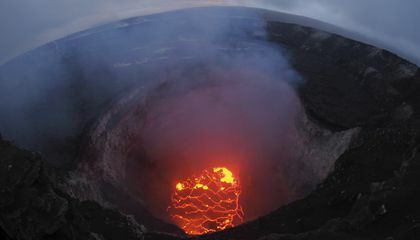 Mandeville said there are 169 active volcanoes in the United States — including underneath Yellowstone. There are 1,550 in the world that are above sea level, he said. We wouldn't exist without volcanoes, scientists said. Volcanic eruptions provide nutrients, like nitrogen, for soil and their gases, especially water vapor, helped form the atmosphere we now have. "It provides so much good," Krippner said, "we just have to get out of their way while they do their thing." Get a hole-in-one at the most eye-catching mini golf courses across the U.S.
How is the volcano in Hawaii different from the eruption on Mount St. Helens? the volcano in Hawaii is different from the eruption on Mount St. Helens because it has been simmering for 35 years and it also the youngest but most active. Blow me down these kids are good they know about volcano in Hawaii.I will always remember the kids who gave us the great artcle. That's got to be crazy and scary because it said that it doesn't usually go to the east and all the sudden it did. All those people all the sudden had to leave so i would be scared.